While most children go outside or down to the basement to play video games after school, 12-year-old Rohan Agrawal, from California, heads straight to the mini-studio in his garage to happily create robots. During an interview with Yahoo news, Rohan stated, “Robotics is my overriding passion because you do all of this work… and then you have something that comes alive.” Surprising adults, Rohan has already made a name for himself in Silicon Valley’s tech community. 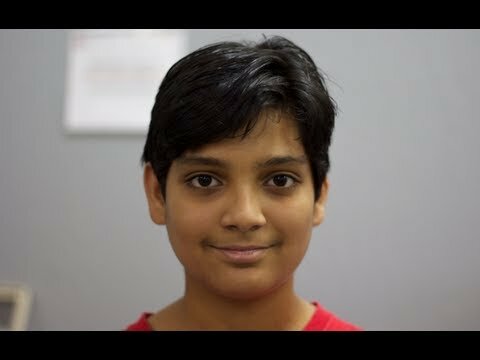 12-year-old Rohan Agrawal is a self-taught robotics prodigy. At age four, Rohan started building and creating using K’nex. In the beginning, he followed the model diagrams but he soon began to create his own structures. Also at four, his mother, an engineer, introduced him to Google and he quickly became fascinated with all of the information he could learn through the Internet. At his fingertips were the answers to any question he had and he learned much of his knowledge through instructional YouTube videos. By the age of five, he started to study coding and had created his own basic website. In a Yahoo news interview, Rohan’s father, also an engineer, said that they exposed him to any area of electronics that he was curious about. This intense curiosity led him to explore the fields of robotics, coding and computer programming through many different avenues. Rohan jokingly told Mashable that HTML was his first language. His parents also gave him a digital circuit book and a kit and at nine Rohan got a HAM radio license. At ten, Rohan became a member of Hacker Dojo, a community that centers on exploring technological advances. He also has taught himself how to use many advanced computer programs such as Linux and ROS. Rohan has even written an IPhone App. OLogic had previously received a large box of robot parts from Google and Ted Larson decided to use these for Rohan’s internship. Ted gave him the parts and assumed that it would take at least several weeks for him to create anything. Rohan quickly proved his assumptions incorrect and created a working robot in a mere one day. Using simultaneous localization and mapping (SLAM), the robot could go through the office and deliver chips. While the idea seems simplistic, creating a robot that complex is a laborious task. The robot had a blueprint of the office and could be programmed to go on specific routes. It also had the ability to avoid passers-by and could communicate with the recipient. While proud of his work, Rohan is looking to improve upon his model by creating a sensor on the robot to see if the room is occupied or not. Ted Larson was completely impressed and said that Rohan is just as intelligent as a Ph.D graduate. Ted hopes that Rohan maintains the curiosity to pursue the passion that he has. When asked in an interview about advice for other young people, Rohan’s said, “If you are interested in something don’t be scared to get into it.” He currently is back at work in his mini-studio and at Hacker Dojo where he mentors other students, mostly older than himself. Eventually, he wants to pursue a degree in computer programming or robotics when he goes to college. With his creativity and drive, Rohan will not only continue to inspire other young techies but will also continue to learn and create innovative solutions for our ever-increasingly technological world.